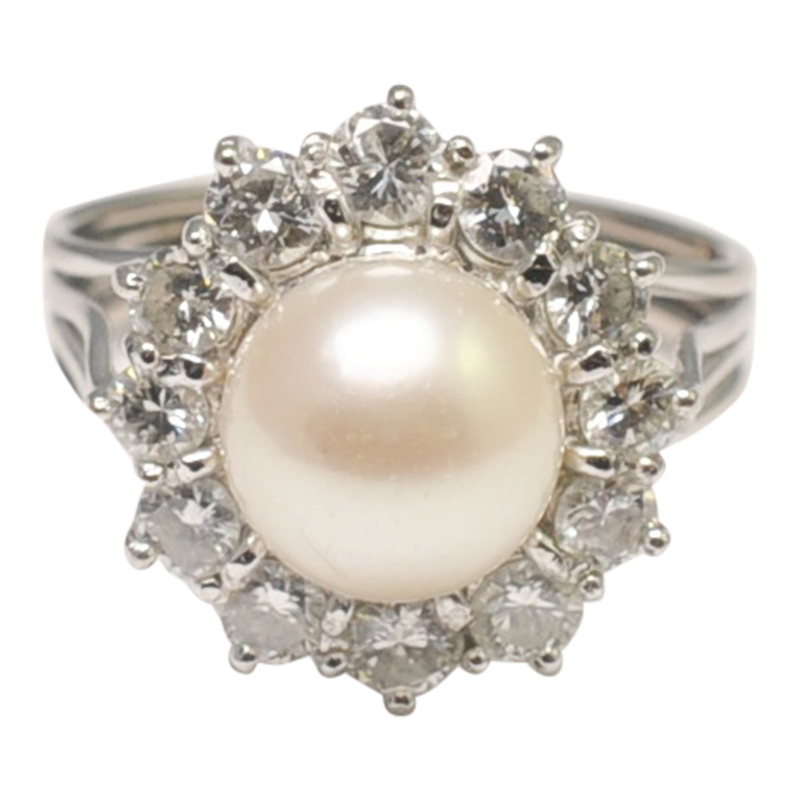 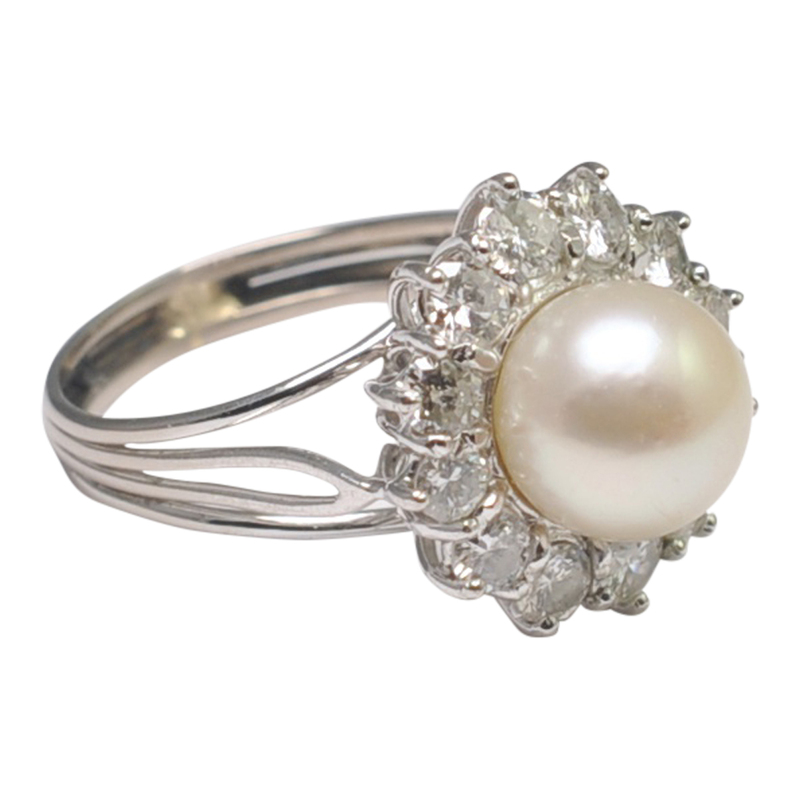 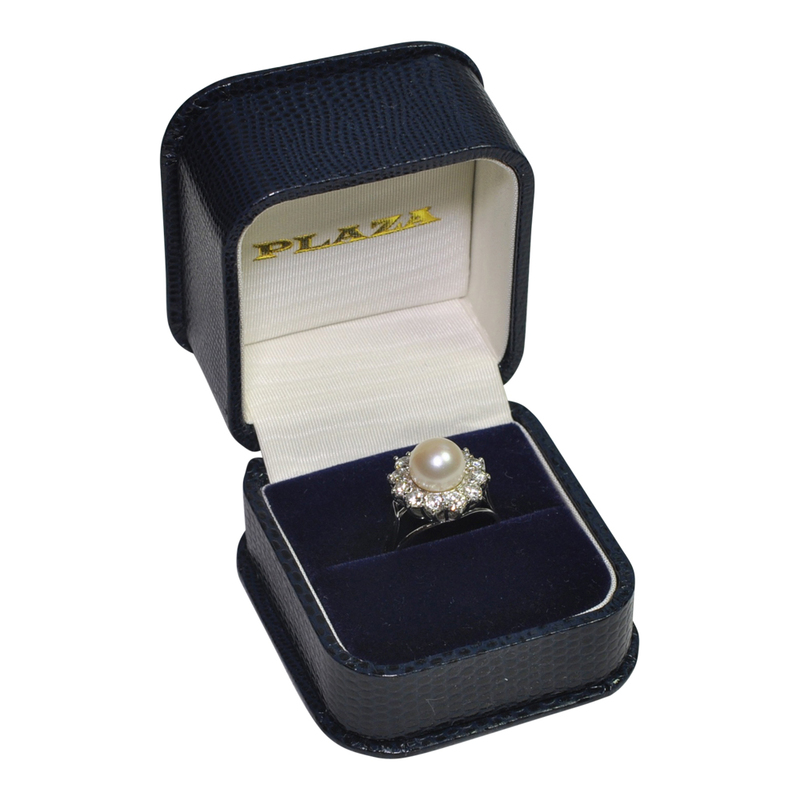 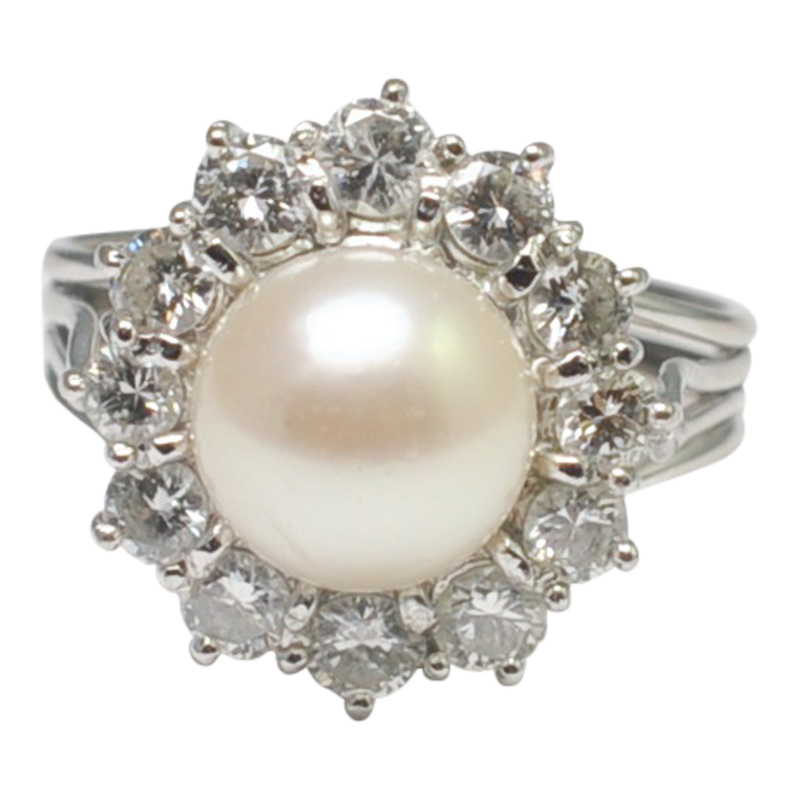 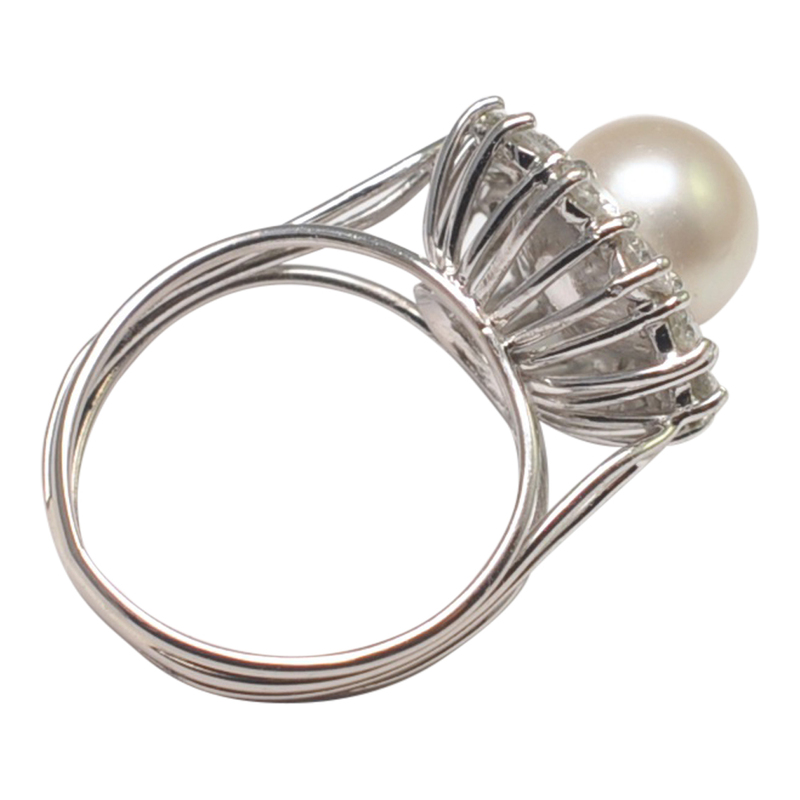 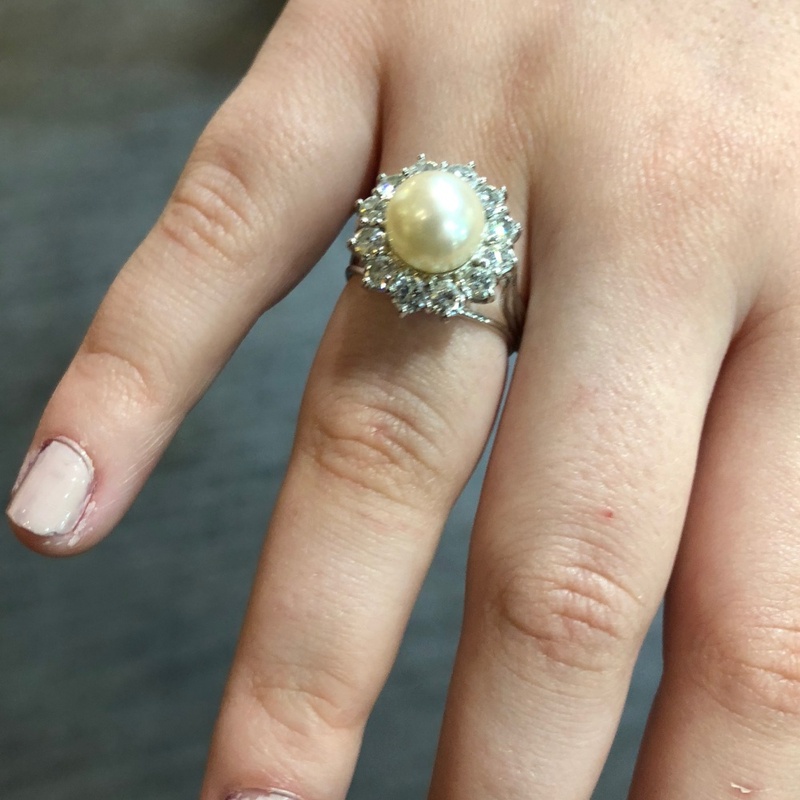 Vintage diamond and pearl cluster ring; the cultured pearl measures 8.8mm and is surrounded by 1ct of brilliant cut diamonds on top of a wirework mount. 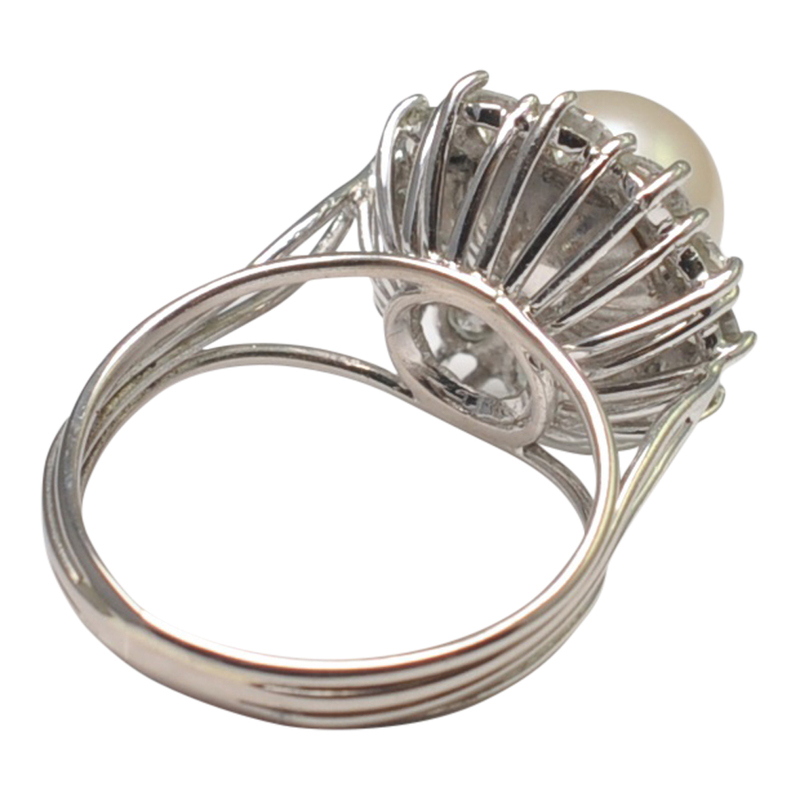 The shank is formed of four wirework bands. 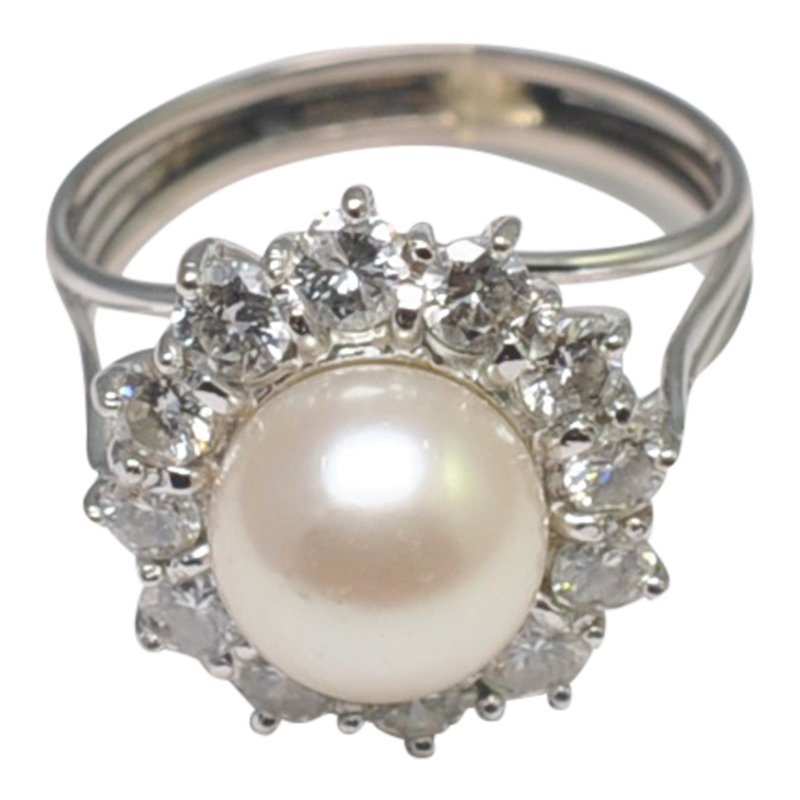 Weight 5.9gms, diameter of cluster 1.65cm x 1.58cm. 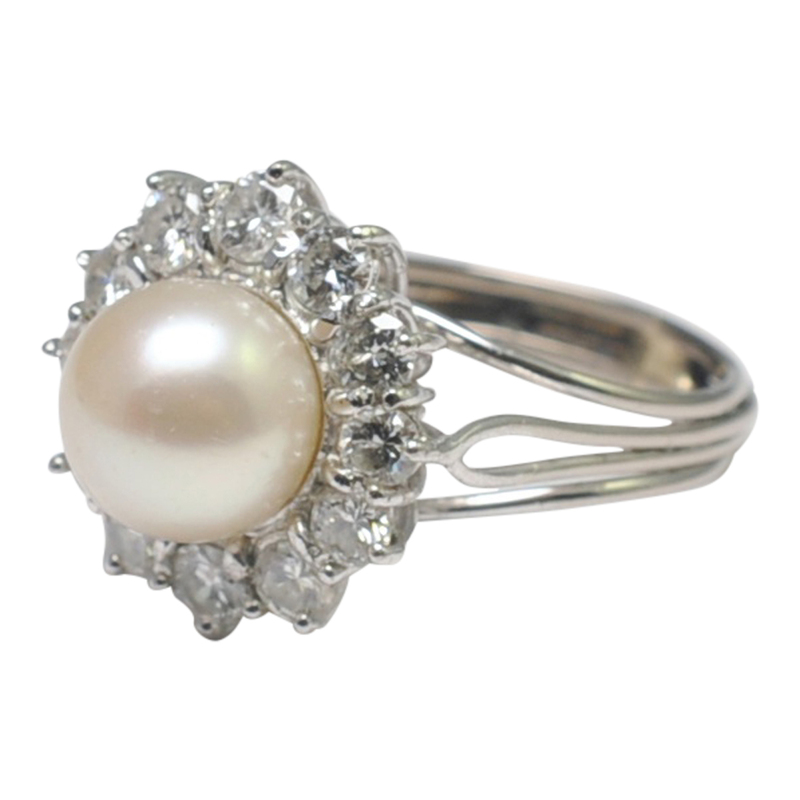 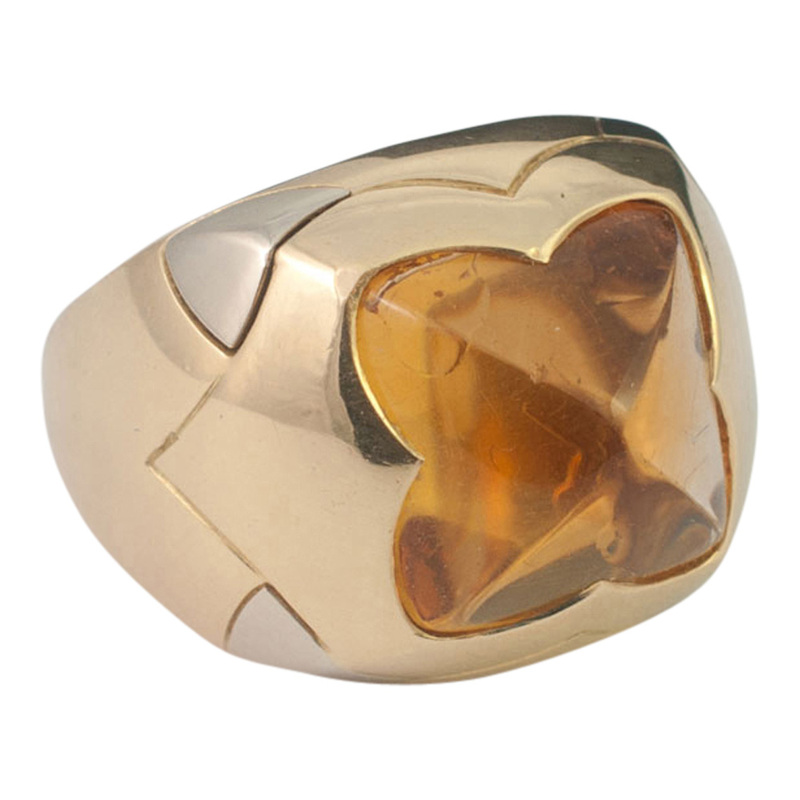 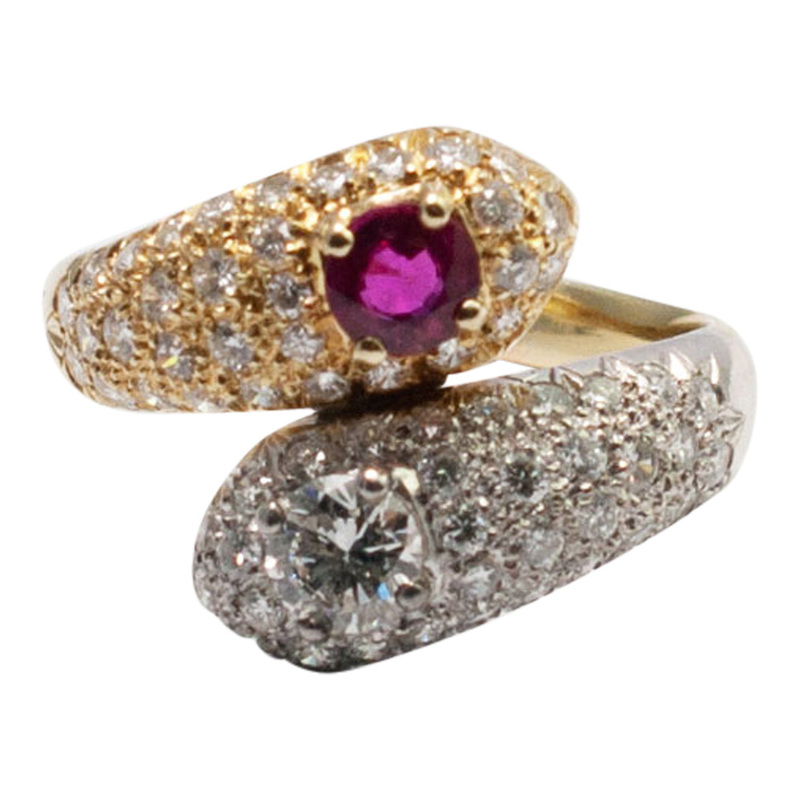 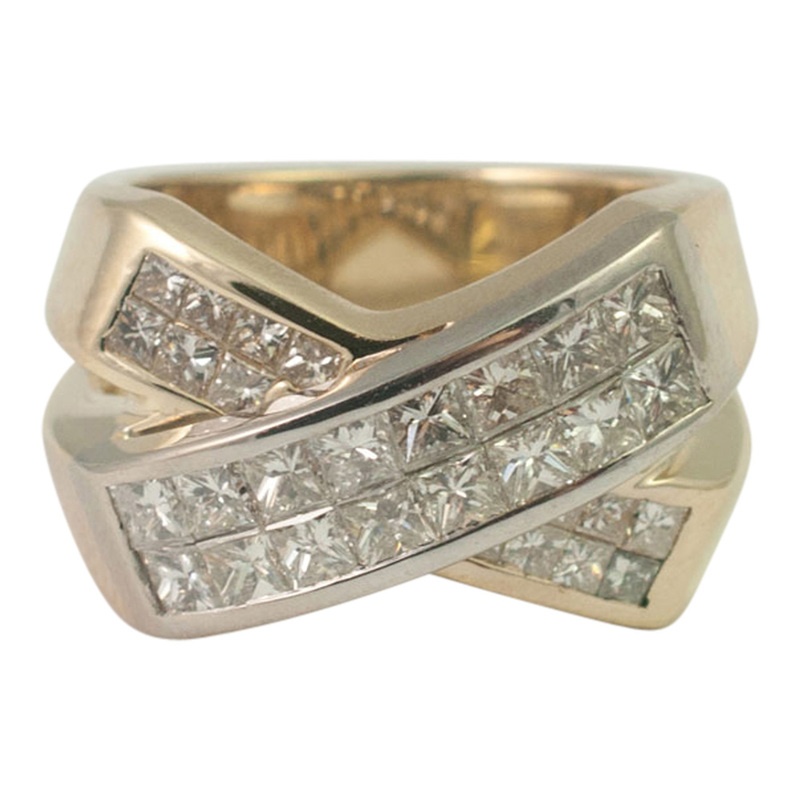 C.1950, this ring is in good vintage condition and would make a great engagement ring. 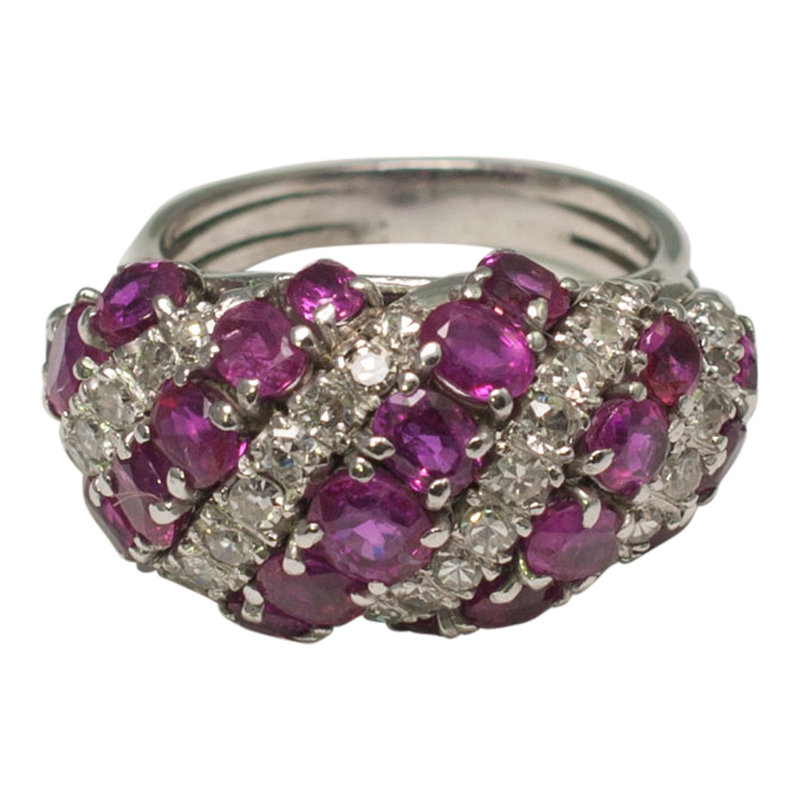 Finger size M (UK), 6.25 (US), 53 (French) 13 (Italian) which we can re-size for you if required.